Do you have application information on this product that you would like to share? 1 USP 单位 = 1 I.U. Ergocalciferol (vitamin D2) and 25-Hydroxycholecalciferol (vitamin D3) are the two form of vitamin D which are activated in vivo by hydroxylation. Vitamin D2 and D3 may be used in a wide range of studies to assess their effects on function such as immune function and calcium homeostasis. Indication For use in the management of hypocalcemia and its clinical manifestations in patients with hypoparathyroidism, as well as for the treatment of familial hypophosphatemia (vitamin D resistant rickets). This drug has also been used in the treatment of nutritional rickets or osteomalacia, vitamin D dependent rickets, rickets or osteomalacia secondary to long-term high dose anticonvulsant therapy, early renal osteodystrophy, osteoporosis (in conjunction with calcium), and hypophosphatemia associated with Fanconi syndrome (with treatment of acidosis). Pharmacology Ergoalcifediol (Vitamin D2) is a fat soluble steroid hormone precursor of vitamin D. The principal biologic function of vitamin D is the maintenance of normal levels of serum calcium and phosphorus in the bloodstream by enhancing the efficacy of the small intestine to absorb these minerals from the diet. Cholecalciferol is synthesized within our bodies naturally, but if UV exposure is inadequate or the metabolism of cholecalciferol is abnormal, then an exogenous source is required. Vitamin D2 is converted to 25-hydroxyvitamin D (25OHD) in the liver, and then to the active form, 1,25-dihydroxyvitamin D (1,25(OH)2D), in the kidney. Once transformed, it binds to the vitamin D receptor, which leads to a variety of regulatory roles. Vitamin D plays an important role in maintaining calcium balance and in the regulation of parathyroid hormone (PTH). It promotes renal reabsorption of calcium, increases intestinal absorption of calcium and phosphorus, and increases calcium and phosphorus mobilization from bone to plasma. Very few foods naturally contain vitamin D. Sources that contain the vitamin include fatty fish, the liver and fat of aquatic mammals (e.g., seals, polar bears), and eggs from chickens fed vitamin D-fortified feed. As such, many countries have instituted policies to fortify certain foods with vitamin D to compensate for the potentially low exposures of skin to sunlight. Vitamin D deficiency results in inadequate mineralization of bone or compensatory skeletal demineralization and causes decreased ionized calcium concentrations in blood and a resultant increase in the production and secretion of PTH. Increase in PTH stimulates the mobilization of skeletal calcium, inhibits renal excretion of calcium, and stimulates renal excretion of phosphorus. This results in normal fasting serum calcium concentrations and low or near-normal serum phosphorus. The enhanced mobilization of skeletal calcium induced by this secondary hyperparathyroidism leads porotic bone. 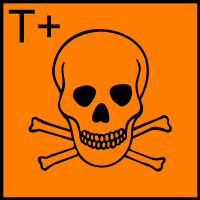 Toxicity LD50 = 23.7 mg/kg (Orally in mice); LD50 = 10 mg/kg (Orally in rats ); Nausea, vomiting and diarrhea, weight loss, irritability, weakness, fatigue, lassitude, and headache. Biotransformation Within the liver, ergocalciferol is hydroxylated to ercalcidiol (25-hydroxyergocalciferol) by the enzyme 25-hydroxylase. Within the kidney, ercalcidiol serves as a substrate for 1-alpha-hydroxylase, yielding ercalcitriol (1,25-dihydroxyergocalciferol), the biologically active form of vitamin D2. Absorption Readily absorbed from small intestine (proximal or distal), requires presence of bile salts. Half Life 19 to 48 hours (however, stored in fat deposits in body for prolonged periods). The synthetic form of Vitamin D. Prepared from ergosterol by UV irradiation in a suitable solvent. Commercial solutions are usually made with propylene glycol or sesame oil. Antirachitic.